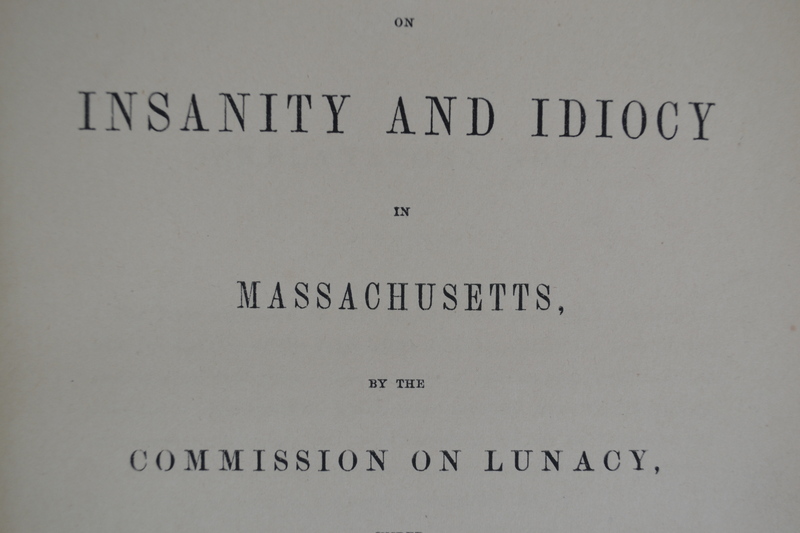 A new collection at the Center for the History of Psychology gives an insider’s view of the daily operations of early American psychiatric hospitals. 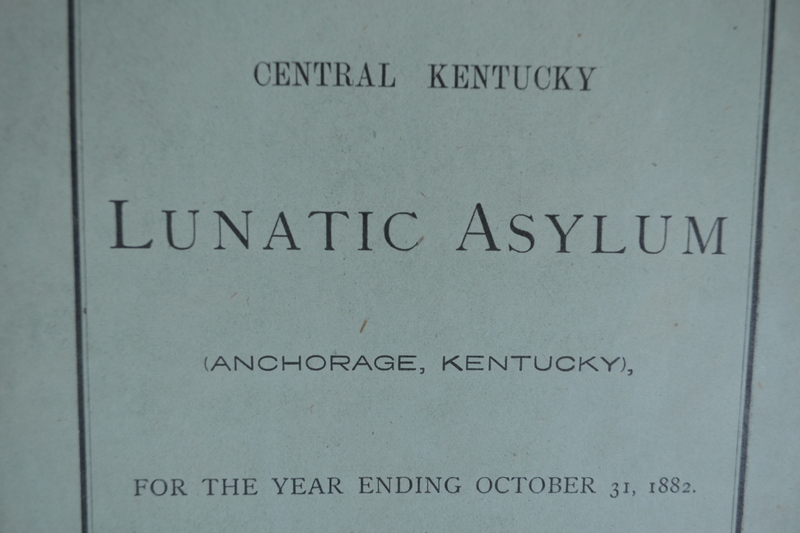 On permanent loan to the Center from the Cushing Memorial Library at Texas A&M University, this collection of nearly 500 asylum reports from 33 states opens the front doors of US psychiatric hospitals and allows us a look at operations in the late 19th and early 20th centuries. 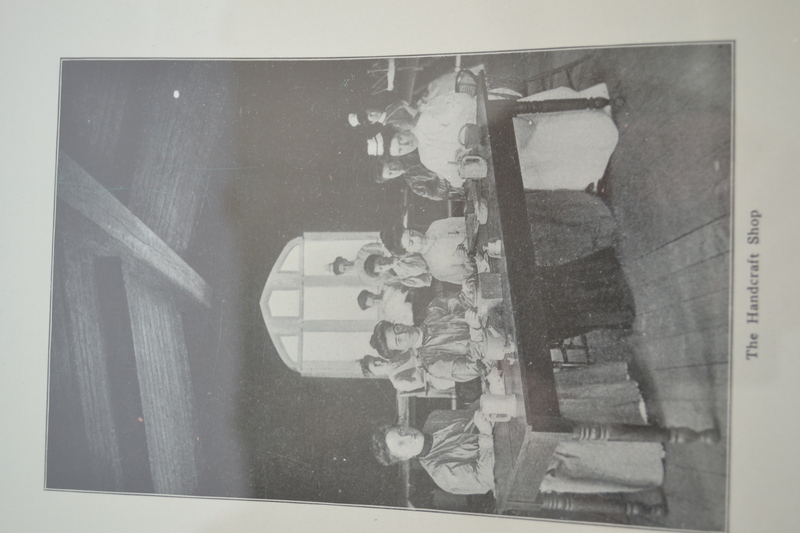 Most reports include information on conditions, client activities, food and diet, demographics, and strategic planning while some reports also include images such as photographs or etchings of the facility. 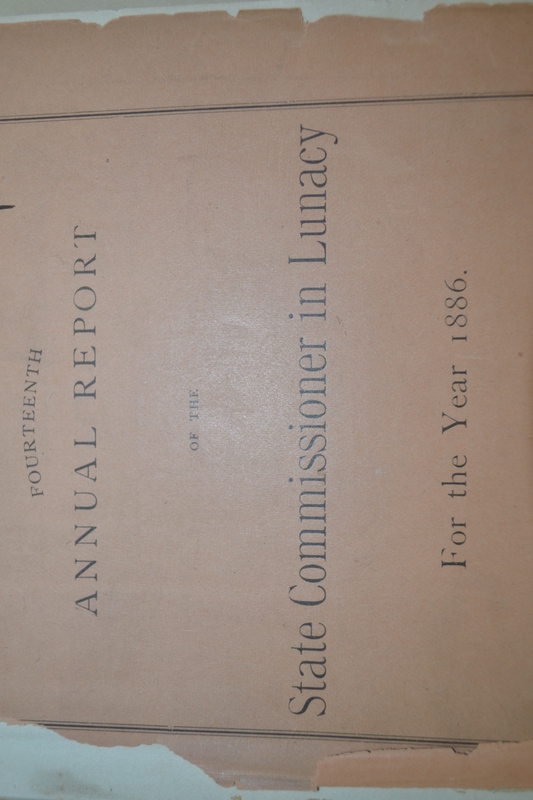 These reports provide a good opportunity to compare activities among hospitals during this time as well as delve into differing historical perspectives of treatment, facility support and client well-being. 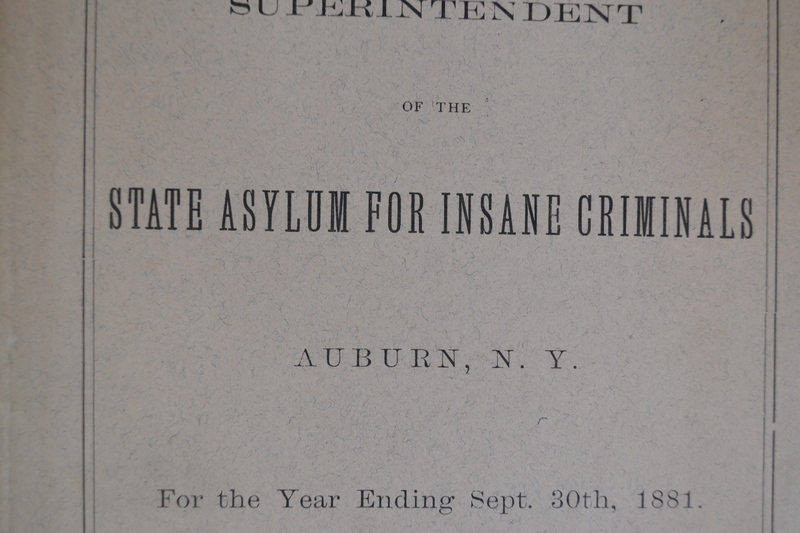 Differences in types of facilities range from institutions that focused on the treatment and housing of the “criminally insane” to those referred to as “retreats” where clients were treated for alcoholism. 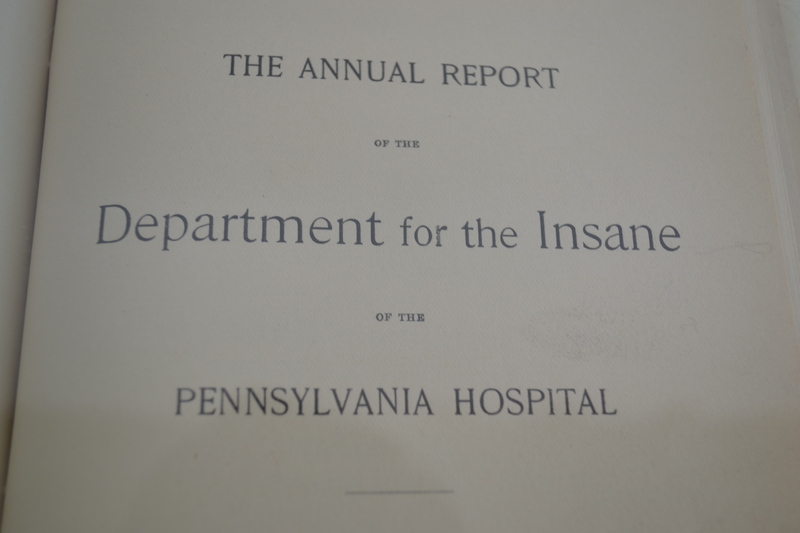 These reports, from 1837 through 1936 span a 100 year history of psychiatric care in the United States. 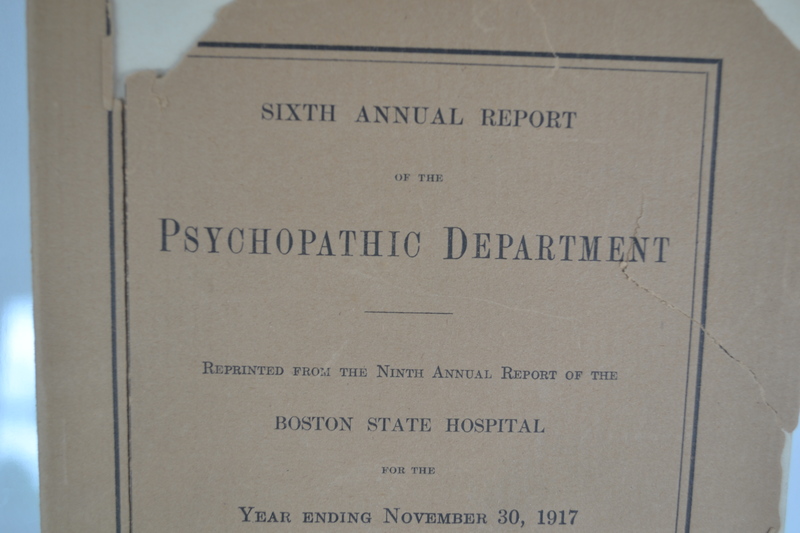 Changes in medical terminology throughout the years in describing psychological disorders and diseases are often reflected in the report titles. 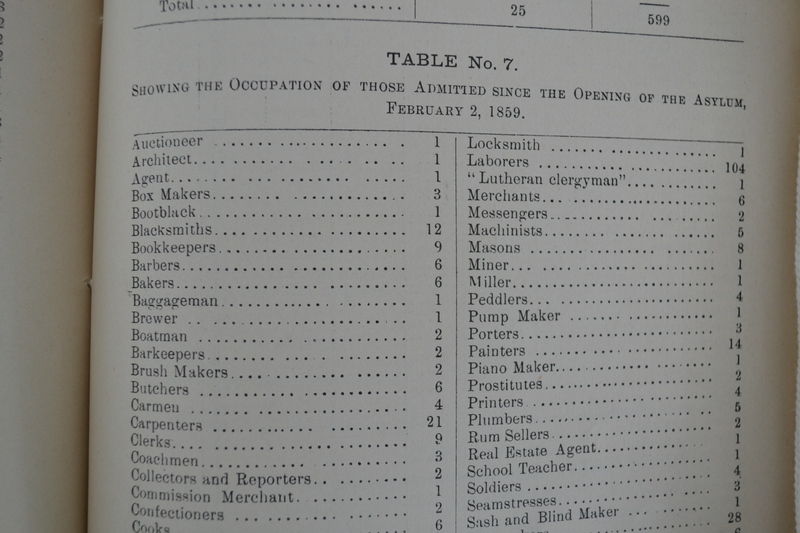 Inebriates, dipsomaniacs, idiocy, lunatic, and psychopath are terms used in describing the patients themselves as well as terms that appear in the names of the facilities. 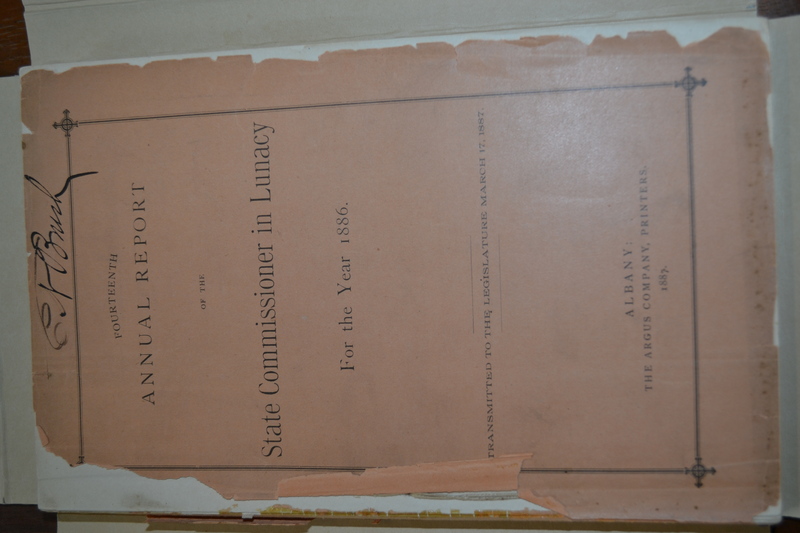 As some of these reports are nearly 200 years old, the condition varies, from nearly unusable with crumbling paper and detached covers, to usable but fragile. 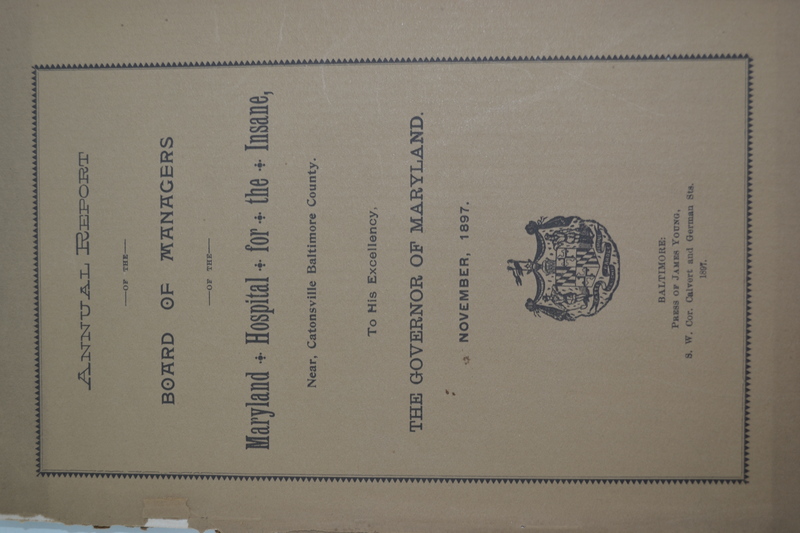 Each report came to the Center with archival board binder protection, but the reports themselves are in great need of preservation to make them accessible to researchers. 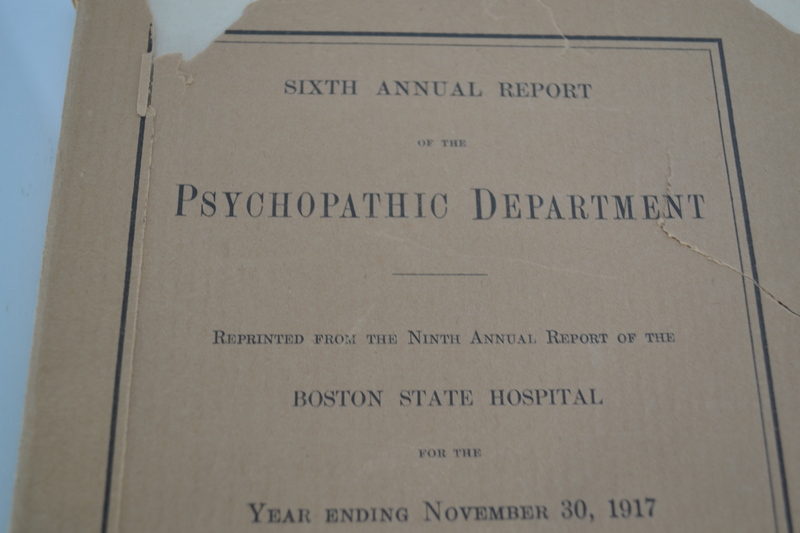 This important collection is a rare reserve of materials that complement both the history of psychology as well as additional collections at the CHP. 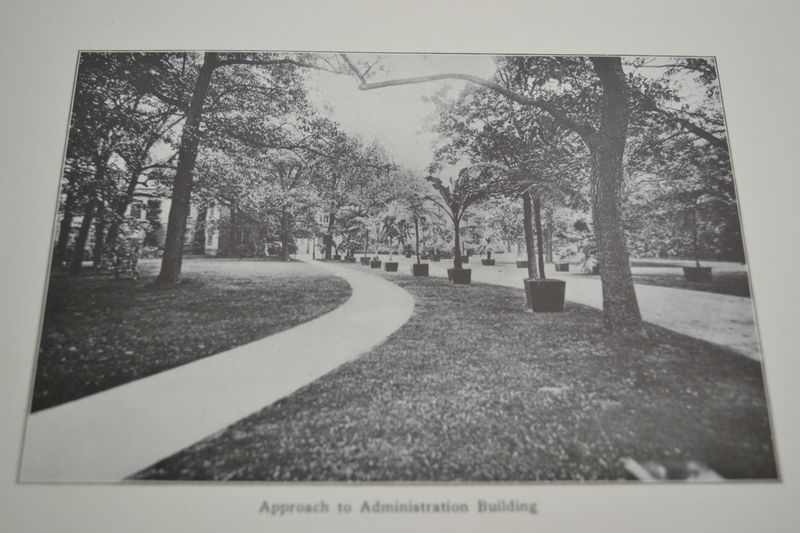 Browse the collection in the University of Akron Libraries catalog.